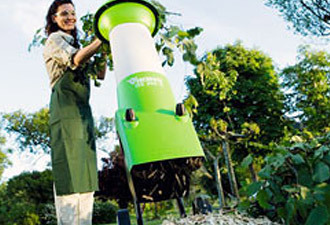 Composting helps keep your lawn and plants in good condition and cuts down on the amount of waste we produce. It is catching on in both the city and country areas as gardeners in Britain are becoming more aware of the benefits and want to reduce their impact on landfill sites. If you want to create good composting for your outdoor space, garden shredders will chop your garden waste into smaller pieces to help with the decomposition process. Garden shredders convert clippings from trees, shrubs and grass into shreds or mulching material. We stock both electric and petrol garden shredders for almost every size of job. Electric shredders are cheaper than petrol shredders but need access to a nearby electrical socket. On the other hand, petrol shredders are much more powerful but need more maintenance. Don’t forget in addition to garden shredders, we also sell a range of safety wear to use with these products such as gloves, eye wear and ear defenders. It is important to read the instructions for your electric or petrol shredders before use. We stock Bosch, Viking, Lawnflite and Eliet shredders. 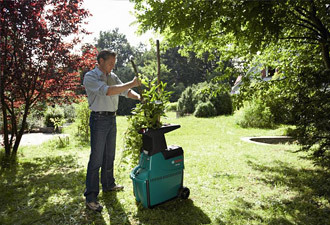 Bosch electric garden shredders are powerful, robust and able to deal with branches up to 45mm thick. We stock several different types of conventional and quiet Bosch electrical garden shredders with various cutting capacities. Viking shredders are a powerful and efficient way to process your hedge clippings, branches and leaves. We stock electric or petrol Viking shredders with shredding or chipping units or a combination of both. We also stock Viking shredder accessories. 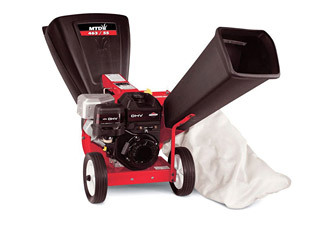 Lawnflite shredders are efficient and easy to use and can handle branches up 75 mm in diameter. Petrol shredders are heavy duty machines which are able to tackle much thicker garden waste than electric shredders. Eliet petrol shredders are reliable and effective. 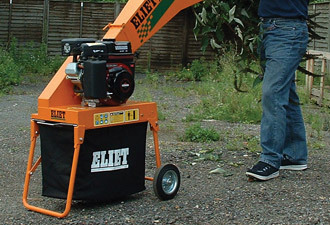 We stock a variety of Eliet mobile shredders which are easy to transport or use anywhere around the garden. They provide uniform chips that will quickly break down into compost. We stock Eliet models for garden use and heavy duty versions for professional use. Garden shredders from Viking and Bosch are available in all of our stores, in the counties of Suffolk, Norfolk, Essex, Cambridgeshire, Kent, East Sussex, West Sussex, Surrey and Hertfordshire.